The Cashmaster Omega 230 is our top of the range count-by-weight cash counting machine designed for businesses that demand a higher level of flexibility, particularly in the processing of non-cash items such as vouchers and proactive management of cash on the shop floor. This allows businesses to actively monitor till discrepancies and speed up random till checks throughout the day. Multiple skims throughout the day can be reconciled with ‘end of day’ till counts. 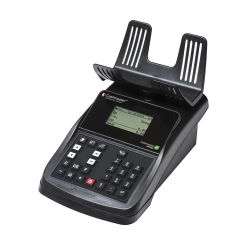 It is ideal for customers who need the flexibility to quickly open or close tills according to customer demand.